It's almost impossible to feel confident when you smile if you're missing teeth. Cosmetic dental implants can change that. 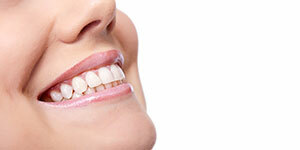 With dental implants, you get the best in function and aesthetics. Cosmetic dental implants are securely anchored in the jaw bone for maximum comfort and durability. The replacement tooth, or dental crown, is made of tooth-colored porcelain so that your dental implants look, feel and function just like your real teeth! 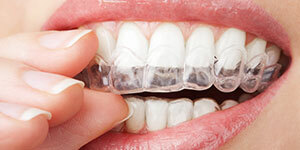 Implants preserve the surrounding teeth and the jawbone. They are also easier to clean and outlast bridges and dentures! 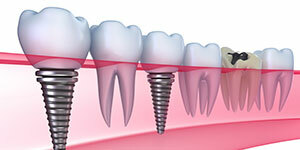 Learn more about Dental Implants at Washtenaw Dental. If you're pressed for time but still want the best that teeth whitening has to offer, Kör whitening could be perfect for you. With Kör whitening, bright, white teeth can be yours in about an hour. Using light activated whitening gel, Kör whitening is fast, safe and more effective than take-home whitening kits. Whether you're a busy professional, have a special event coming up or just want a smile boost, Kör whitening is great for just about everyone.